Cream butter, sugar, and brown sugar. Add in eggs and vanilla and mix until combined. Add in dry ingredients until combined. Stir in white chocolate chips and candy cane bits. Cover dough and refrigerate for at least two hours. Bake at 375 degrees for 8-10 minutes or until golden brown. I wish I had taken some better pictures, but they didn't last long! Enjoy! Grilled Chicken and Pesto Pizza - Made on the Barbecue! Here's how to make pizza on the barbecue. It's super easy and delicious. Don't let it scare you. Give it a try, okay? Remember the tutorial to making your own pizza dough? Do that again. This time add in 1/2 to 1 tbsp of Rosemary, Basil and Thyme Demarle Herb and Spice Blend to the dry ingredients. I also like to use leftover roasted chicken or I grill chicken breasts on the barbecue while my dough is rising. Once your dough is ready, divide it into 4 sections. Turn on your barbecue and let it heat up. Then, turn the burners down to the lowest setting and leave the lid closed. Roll out one of your dough balls to your liking and rub olive oil on one side. Remember it will puff up a bit on the grill, so thinner is better. Transfer it to the grill using a perforated baking sheet and cook for 3 minutes (or so) or until golden brown. Don't walk away! Watch it closely and be ready to scoop it off. Once you take it off, turn it over and put your toppings on the side that is cooked. I like pesto, grilled chicken, a bit of parmesan, and mozzarella. Slide it back onto the grill, close the lid and let the other side cook and the cheese melt. Repeat the grilling process or save the other dough for another day. Cream butter and sugar. Add in sour cream, milk, and lemon juice. Combine. Stir in egg and lemon zest. Add in dry ingredients and mix until combined, then stir in raspberries by hand. 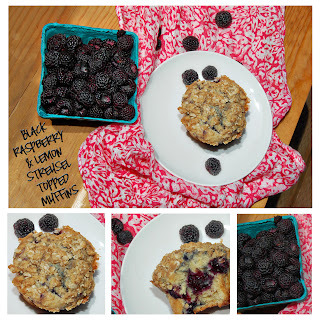 Fill a Straight Muffin Tray 2/3 full in batter. Set aside. In a separate bowl make the streusel topping. Combine flour, oats, brown sugar, salt and cinnamon. Cut in the butter until evenly distributed. Sprinkle topping over muffins. Bake at 400 degrees for 18 minutes or until a toothpick comes out clean. My oldest daughter played with the cookie cutters all morning and begged me to make sugar cookies. I didn't have all the ingredients and wasn't up for baking today. I told her we could make no-bakes, then she asked if we could cut them out. I'd never thought of it. 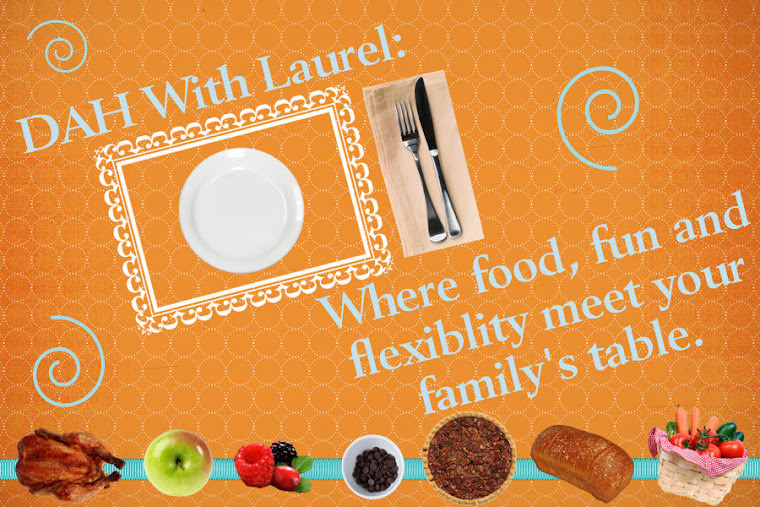 Leave it to a three-year-old to come up with a brilliant idea. 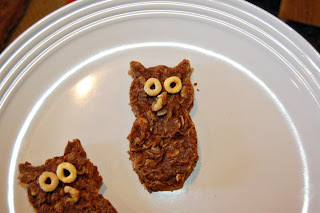 We ended up with owls, which are kind of fall-esque, but cute nonetheless! Stir to combine and pour into a Deep Flexipat and let cool. My daughter picked an owl cutter, and we added Cheerios as eyes and a piece of a walnut as a beak. I saw this idea on Pinterest and I was skeptical. Bananas = smooth creamy ice cream? It was warm today, I had some ripening bananas, and the mood hit me right. This morning I sliced 2 banana and placed the round discs on a Silpat on a perforated baking sheet and placed them in my freezer. This evening, I pulled them out and created this beautiful concoction! Try it!! Unless you don't like banana, then I don't recommend it. The only other catch is that you need a food processor. Slice bananas and place round discs on a Silpat on perforated baking sheet. Place it in the freezer until frozen through (at least 2 hours) or overnight. Place banana discs in the food processor (hold on tight to the machine, it will jump!) and turn on for several minutes. Stop every now and again to scrape down the sides. Don't be worried it will come together. Add in Nutella (or peanut butter!!) and let the goodness spin several more rounds in the food processor. Sprinkle on on a few chocolate chips and enjoy! 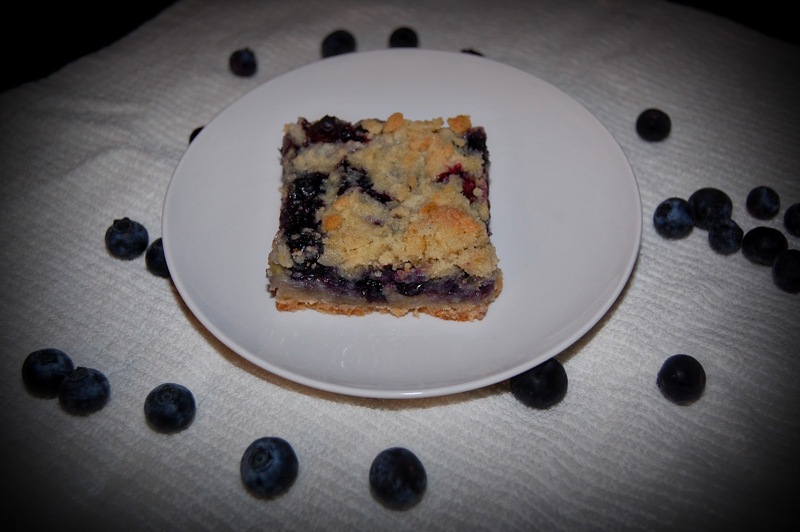 I love blueberry muffins in the morning, but these Blueberry Crumb Bars are delicious any time of day. They are the farthest thing from low fat, but when blueberry season arrives, they are a must! If you want to live in real sin, plop a scoop of vanilla ice cream on a slice just after it comes out of the oven. Combine 1 C sugar, baking powder, and flour. Cut in butter and egg. In a separate bowl combine 1/2 C sugar and cornstarch. 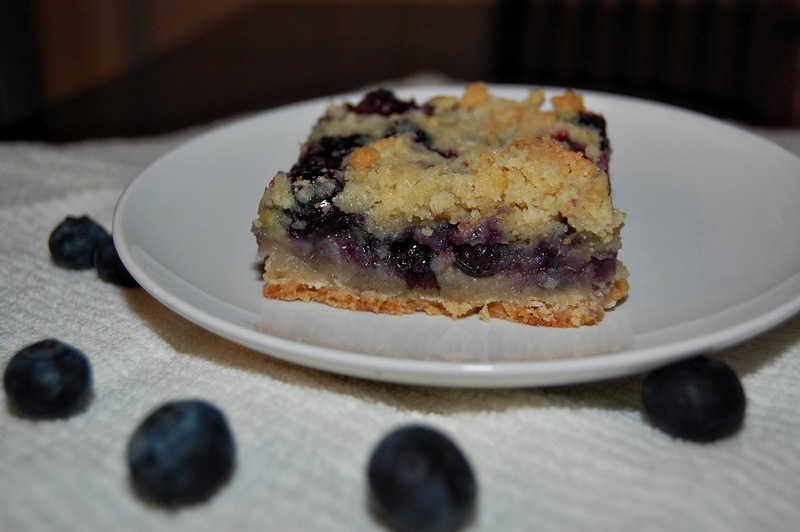 Toss in blueberries and gently stir. In to bottom of a Grande Round Mold place half of he crumb mixture. Layer on blueberries and remaining crumb mixture. Bake at 375 degrees for 45 minutes. Let cool before enjoying. Notes: You could half this recipe and use checkerboard mold. I have made this using almond flour and honey instead of all-purpose or sugar. Don't let this photo fool you! I took it with my phone, which probably wasn't the best idea to portray the deliciousness, but this is all I've got, folks. 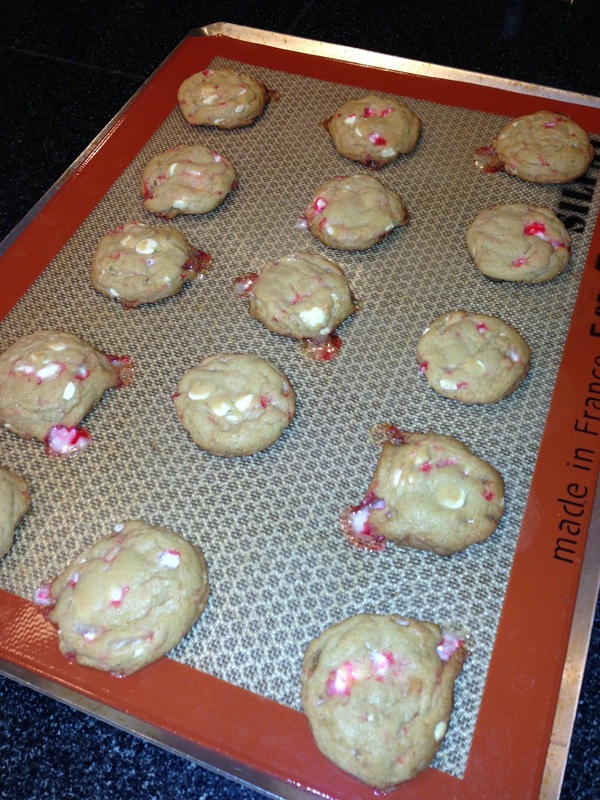 These do not disappoint and definitely satisfy the cookie craving! I found a recipe on Chocolate-Covered Katie's blog, and changed it just a smidge. Pulse oats in food processor until fine (or use oat flour). Add salt, baking soda, brown sugar, sugar and flax meal. Combine. Add in vanilla, butter and milk. Combine. Stir in chocolate chips and scoop onto a Silpat. Bake at 380 degrees for 7 minutes. All the recipes posted here are to be made using Demarle At Home products which means less oil, no cooking spray, and no muffin liners. If you are not using DAH products, add those things where you see fit.